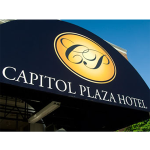 Located in Vermont’s Capital City of Montpelier, the Capitol Plaza is a delightful hotel offering elegant rooms and memorable dining at J. Morgans Steakhouse. 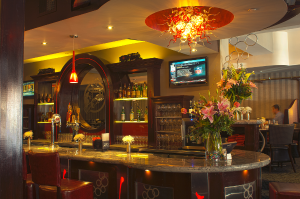 Whether you are traveling with a group, company or individuals, our facility, staff, food and overall hospitality are all here to assist in making your stay perfect. You’ll grow fond of Montpelier and the surrounding area, as many travelers do, and will want to return. Activities in the area include popular attractions such as Ben & Jerry’s Ice Cream Factory (11 miles), Cold Hollow Cider Mill (12 miles), Morse Farm Sugarhouse (3 miles), and Barre Granite Quarries (8 miles), just to name a few. Many travelers use the Capitol Plaza as a home base and take day trips to any region of the state. – Visit the Vermont Statehouse and see the simple yet elegant home of the state’s citizen legislature (in session Jan.-April each year). A must-see! Your next visit is the Pavilion Museum (adjacent to the State House), home to the recently updated Vermont historical Society Library & Museum. – Your first stop would be the Barre Granite Quarries, just 8 miles away, where you will see a working mine for the famous ‘Barre Gray’ Granite, seen around the world. Next on your list would be Morse Farm Maple Sugarworks, only 3 miles away. Enjoy sugar-on-snow and some maple ice cream, or send gift items home from the mail-order desk. – Travel up Interstate 89 to nearby Waterbury for a Ben & Jerry’s Factory tour, then on to Cold Hollow Cider Mill. On the way, stop at the “Vermont Annex,” home to a Cabot Cheese outlet, Lake Champlain Chocolates and Danforth Pewter. Then continue to nearby Stowe for shopping. 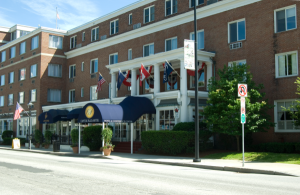 Any tour can be customized by the Capitol Plaza sales staff, all certified “Vermont Ambassadors.” For those groups staying elsewhere, the Capitol Plaza banquet facilities are ideal for a private lunch or dinner for tour groups.